This post follows up on the discussion of the attorney-client privilege and the crime-fraud exception raised in Prosecutor v. Bemba et al. (“Bemba”) before the International Criminal Court (“ICC”). In my previous post, I presented an overview of the attorney-client privilege (otherwise known as “lawyer-client privilege” or “legal professional privilege”) in the international criminal tribunals. As previously discussed, one of the exceptions to the attorney-client privilege is the crime-fraud exception. This exception applies when communications are made in furtherance of a crime or fraud. In other words, the attorney-client privilege is not a shield to be used by either the attorney or the client to pursue or cover up criminal activity, including acts contributing to the obstruction or perversion of justice. The ICC Pre-Trial and Trial Chamber decisions in Bemba raise several questions concerning the scope of this exception. Before I get into those questions, let’s briefly review the history of the case. In Bemba, Judge Tarfusser, the Single Judge, found that the Office of the Prosecutor (“ICC OTP”) had sufficient evidence showing that communications between Jean-Pierre Bemba Gombo and members of his defence team fell under a crime-fraud exception to the attorney-client privilege.1Situation in the Central African Republic, ICC-01/05-52-Red2, Decision on the Prosecutor’s “Request for Judicial Order to Obtain Evidence for Investigation under Article 70”, 29 July 2013, paras. 3-5. Judge Tarfusser then appointed an Independent Counsel to identify portions of communications which might be relevant for the limited purpose of the OTP’s contempt investigation, and to deliver them to the OTP.2Id., paras. 6-7. After assessing the Independent Counsel’s reports, the Trial Chamber found several communications to be relevant to the OTP’s investigation and non-privileged, and ordered these communications to be provided to the OTP and the other parties.3Prosecutor v. Bemba Gombo et al., ICC-01/05-01/13-947, Decision Providing Materials in Two Independent Counsel Reports and Related Matters, 15 May 2015. The Trial Chamber denied the Bemba Defence’s leave to appeal the decision, finding that “even assuming arguendo that it erred in defining the ‘crime/fraud exception’, this does not necessarily and automatically mean that material erroneously provided to the Prosecution would be inadmissible.”4Prosecutor v. Bemba Gombo et al., ICC-01/05-01/13-1096, Decision on Defence Request for Leave to Appeal the “Decision Providing Materials in Two Independent Counsel Reports and Related Matters”, 21 July 2015, para. 9. Does the ICC have the power to apply the crime-fraud exception? What types of communications does it cover? When does the crime-fraud exception apply (i.e. what does “in furtherance of a crime” mean)? 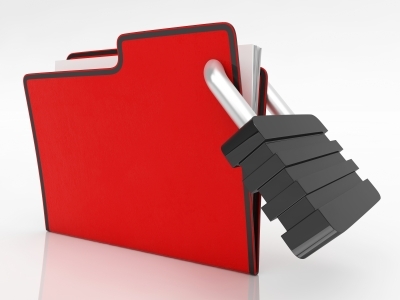 Can privileged communications be used as admissible evidence? If the communications in question contain a mix of privileged and non-privileged statements or utterances, where is the line to be drawn? What measures should be taken when attorney-client communications are transmitted to the OTP and/or other parties but subsequently are determined to be privileged? This post will attempt to answer these questions, giving an overview of how the crime-fraud exception has been applied in domestic and international tribunals. In the second post, I briefly discussed how the crime-fraud exception applied in common law systems. The United Kingdom (“UK”) House of Lords decision in O’Rourke v. Darbishire is generally followed for its formulation of the crime-fraud exception: there must be “something to give colour to the charge … prima facie evidence” that a crime or fraud has some foundation in fact.5O’Rourke v. Darbishire  A.C. 581, 604. 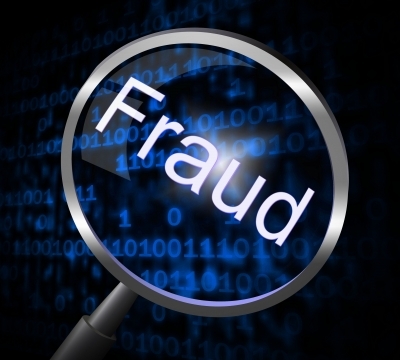 In the UK, the crime-fraud exception encompasses both materials covered by litigation privilege and legal advice privilege. United States (“US”) jurisprudence has followed O’Rourke v. Darbishire.6See Clark v. U.S., 289 U.S. 1 (1933) discussed in Blog Post 2. Citing O’Rourke v. Darbishire, the US Supreme Court held that “to drive the privilege away, there must be ‘something to give colour to the charge;’ there must be ‘prima facie evidence that [a crime or fraud] has some foundation in fact’.”7Clark v. U.S., 289 U.S. 1, 15 (1933). the partial transcripts were not prepared by the United States from the tapes in the custody of the Superior Court for Los Angeles County, California, nor from copies of the tape now in the custody of the Clerk of this Court. The transcripts were obtained from a confidential source by another Special Agent prior to the issuance of this summons. The source was not a party to Church of Scientology v. Armstrong, No. 410153, nor an attorney for any party in that proceeding.12Id. at 559, n. 5 (internal citation omitted). The IRS appealed on the ground that the District Court erred in rejecting the application of the crime-fraud exception to the tapes. The IRS argued that the District Court incorrectly held that the IRS abandoned its request for in camera review of the tapes, and that the Court should have listened to the tapes before ruling that the crime-fraud exception was inapplicable.14Id. at 560 (internal citation omitted). The IRS also argued that in assessing the applicability of the crime-fraud exception, the District Court should have considered evidence of the contents of the tape which it presented to the court.15Id. The intervenors (the Church and Mary Sue Hubbard), argued that the IRS’s evidence of crime or fraud must come from sources independent of the attorney-client communications recorded on the tapes.16Id. 1) Agent Petersell’s Supplemental Declaration of March 8, 1985, in which Petersell stated that his discussions with Gerald Armstrong had given him reason to believe that the communications recorded on the tapes focused generally on the intentional violation of the tax laws; and 2) Petersell’s Supplemental Declaration of March 15, 1985, in which Petersell stated that his discussions with three other former Church employees had given him reason to believe that the communications recorded on the tapes specifically focused on i) a proposed scheme whereby the Church’s cash transfers to Hubbard would be disguised as payments for services rendered (allegedly to insulate Hubbard from tax liability and to protect the Church’s tax-exempt status), and ii) a proposed scheme whereby Hubbard would be able to control royalty income derived from the “Trademark Trust” (a trust that was created to manage Hubbard’s various Scientology-related and other trademarks) without that control being traceable to him.18U.S. v. Zolin, 809 F. 2d 1411, 1418-19 (9th Cir. 1987). The Ninth Circuit found that “this evidence, while not altogether insubstantial, is not sufficient to make out the requisite prima facie showing of intended illegality.”19Id. at 1419. Before engaging in in camera review to determine the applicability of the crime-fraud exception, the judge should require a showing of a factual basis adequate to support a good faith belief by a reasonable person” that in camera review of the materials may reveal evidence to establish the claim that the crime-fraud exception applies. Once that showing is made, the decision whether to engage in in camera review rests in the sound discretion of the district court. The court should make that decision in light of the facts and circumstances of the particular case, including, among other things, the volume of materials the district court has been asked to review, the relative importance to the case of the alleged privileged information, and the likelihood that the evidence produced through in camera review, together with other available evidence then before the court, will establish that the crime-fraud exception does apply. The district court is also free to defer its in camera review if it concludes that additional evidence in support of the crime-fraud exception may be available that is not allegedly privileged, and that production of the additional evidence will not unduly disrupt or delay the proceedings.21Id. at 572, citing Caldwell v. District Court, 644 P. 2d 26, 33 (Colo. 1982). The US Supreme Court held that the threshold showing may be met by using any lawfully obtained relevant evidence that has not been adjudicated as privileged.22Id. at 575. Though Zolin provides a loose “good faith belief by a reasonable person” standard, US federal courts vary in the standard they apply. The D.C. Circuit Court of Appeals case of In re Sealed reconciled the differing standards. In In re Sealed a grand jury was investigating violations of federal election laws.23In re Sealed, 107 F.3d 46, 48 (D.C. Cir. 1997). A company refused to produce two subpoenaed documents and was held in contempt. One of the documents was a memorandum from a company vice president to the president, with a copy to the company’s general counsel, reflecting a conversation between the vice president and the company’s general counsel about campaign finance law. The other document was a memorandum written by the general counsel, apparently at the request of outside counsel. The company withheld the first memorandum on the basis of attorney-client privilege, and the second memorandum on the basis of attorney-client privilege and work product immunity.24Id. In late June 1994, the Company’s political action committee contributed the maximum amount permitted by law to a former candidate for federal office who was seeking to retire his campaign debt. The vice president wrote his memorandum and had his discussion with the general counsel in early August 1994. Later in the same month, the vice president called two individuals who did business with the Company and asked them to contribute to the former candidate. The individuals and their wives made the contributions. After several weeks had passed, the vice president authorized checks to be drawn from his department’s budget to reimburse these individuals not only for the amount of their contributions, but also to make up for the additional taxes they would incur from reporting the reimbursement as income. The vice president’s solicitation may have been permissible but, according to the government, this use of corporate funds was illegal.25Id. A third party’s bad intent cannot remove the production of privilege. For example, a stenographer hired to record a meeting between an attorney and a client might intend to use his notes to commit some crime – say extortion – but the contents of the meeting would not therefore cease to be privileged. Otherwise, existence of the attorney-client privilege would be unpredictable and the interest of ‘full and frank communication’ between a client and counsel would be undermined.28In re Sealed, 107 F.3d 46, 49 (D.C. Cir. 1997). To overcome a claim of privilege, the government need not prove the existence of a crime or fraud beyond a reasonable doubt. Rather, the government must first make a prima facie showing of a violation sufficiently serious to defeat the privilege, and second, establish some relationship between the communication at issue and the prima facie violation. A prima facie violation is shown if it is established that the client was engaged in or planning a criminal or fraudulent scheme when it sought the advice of counsel to further the scheme.”32Sealed Case II at 399. The D.C. Circuit Court of Appeals in Sealed Case II explained in a footnote that “at least one court has framed the test in terms of probable cause to believe that a crime or fraud had been committed and that the communications were in furtherance thereof.”33Sealed Case II at 399, n. 3, citing In re John Doe Corp., 6975 F.2d 482, 491 & n. 7 (2d Cir. 1982). It stated, however, that there was little difference between the probable cause test and the test it had formulated. “Both require that a prudent person have a reasonable basis to suspect perpetration or attempted perpetration of a crime or fraud, and that communications were in furtherance thereof.”34Sealed Case II at 399, citing In re Grand Jury Subpoena Duces Tecum, 731 F.2d 1032, 1039 (2d Cir. 1984). In the main case, In re Sealed, the D.C. Circuit Court of Appeals held that the government failed to make “the sort of probable cause showing the Second Circuit would demand, or the showing Sealed Case II contemplated.”35In re Sealed, 107 F.3d 46, 50 (D.C. Cir. 1997). It held that it was not enough for the government to show that the vice president committed a crime after he wrote his memorandum and attended the late August meeting with company counsel. Here, the client, and holder of the privilege, was the company. The D.C. Circuit Court of Appeals held that unless the government showed that the company intended to further and commit a crime, the government could not invoke the crime-fraud exception to privilege.36Id. Most civil codes do not have an explicit crime-fraud exception to the attorney-client privilege.37See overview of civil law codes in Blog Post 2. That is not to say that such an exception is not applied or recognized in jurisprudence. The Hague District Court has held that the “attorney-client privilege of counsel may be breached in the exceptional circumstance that a counsel is himself suspected of a serious criminal offence, such as witness tampering.”38Decision of The Hague District Court, the three-judge division for criminal cases, on the motions by the public prosecutor and the complaints pursuant to Section 552a of the Dutch Code of Criminal Procedure of the suspects: Aime Kilolo Musamba & Jean-Jacques Mangenda Kabongo, 09/767240-13, Case No. RK 14/718 (2014), p. 9. English translation available at http://www.icc-cpi.int/iccdocs/doc/doc1781445.pdf. Leading up to the Bemba contempt case, the Hague District Court allowed the Public Prosecutor to deliver tapped phone calls between Jean-Pierre Bemba Gombo and his lawyers to the ICC OTP.39Id., p. 10. The Hague District Court reasoned that “Dutch case law provides that the privilege is not absolute. According to the Supreme Court, highly exceptional circumstances can be envisaged where the interest of finding the truth has to prevail over the privilege.”40Id., p. 9. In a case from the Supreme Court of the Netherlands, a magistrate initiated a judicial investigation of an attorney for his alleged influencing of witnesses in cooperation with his client in violation of Article 285(a) of the Dutch Criminal Code.41Decision of the Supreme Court of the Netherlands on the Appeal in Cassation against a decision of the Court of Roermond of 24 December 2002, Case No. RK 00/88 (2003), Dutch version available at http://jure.nl/ECLI:NL:HR:2003:AH9924 (text based on unofficial author translation). Phone calls between the attorney and his client had been tapped.42Id., para. 3.1. The Court of Roermond held that there were exceptional circumstances that justified an infringement of the attorney-client privilege, because the lawyer was influencing witnesses in violation of Article 285(a).43Id., paras. 3.1, 3.2.2. The Supreme Court of the Netherlands concurred with the Court of Roermond, rejecting the lawyer’s appeal.44Id., para. 5. For the investigation of felonies and misdemeanours, if the penalty incurred is equal to or in excess of two years; imprisonment, the investigating judge may order the interception, recording and transcription of telecommunication correspondence where the requirements of the investigation call for it. Such operations are made under his authority and supervision.45Code de Procédure Pénale (Code of Criminal Procedure) (official translation). The Cour de cassation has stated that “[w]hereas, if the investigating judge has, pursuant to Article 100 of the Code of Criminal Procedure, the power to order, when it is required for the investigation, the interception, recording and transcription of communications produced through telecommunications, this power is limited by the respect of the rights of the Defence, which notably means that communications by the lawyer designated by the person under judicial examination are confidential; there can only be an exception to this principle when the lawyer is suspected to participate in a criminal offense.”46Cour de cassation, crim., n°96-83753, 15 January 1997 (unofficial author translation). Though this post is just a sampling of common law and civil law jurisprudence, it is reasonably safe to conclude that in most countries, the attorney-client privilege will not serve as a shield when the client and lawyer are conspiring to commit a crime or fraud. Common sense and basic ethics dictate that it is just plain wrong for a lawyer to conspire with his or her client to pervert the course of justice. And, it stands reason on its head that the law would provide modalities or mechanisms that would protect lawyers against any investigation or prosecution of conduct that is clearly illegal. otherwise endanger the security and safety of the Detention Unit. Prior to such communications being monitored, the detainee and his counsel shall be notified by the Registrar of the reasons for monitoring. The detainee may at any time request the President to reverse any decision made by the Registrar under this Rule. In Prosecutor v. Šešelj, the Single Judge held that the Registrar has a duty to act to prevent the intimidation of witnesses and the disclosure of confidential information, for example, by monitoring the accused’s communications.47Prosecutor v. Šešelj, IT-03-67-T, Decision on Vojislav Šešelj’s Request for Review of Registrar’s Decision of 10 September 2009, 21 October 2009, para. 21. Šešelj elected to represent himself before the ICTY.48Id., para. 2. The Registrar had arranged that Šešelj could have privileged communications with up to three legal associates via a dedicated phone line, mail, and in-person visits at the United Nations Detention Unit.49Id. The Registrar had warned Šešelj that abuse of the privileged telephone line could lead to the withdrawal of the Registrar’s acceptance of the privileged status of his legal associates.50Id., para. 4.
coupled with the allegations of witness harassment and interference which are the subject of submissions that are still pending before the International Tribunal, as well as [Messrs. Krasić and Jerković’s] conduct before this International Tribunal of which I have repeatedly warned you and them, I have serious concerns about their suitability to remain in your defence team as recognized legal advisors with privileged access to you. I am particularly concerned that in addition to the allegations pertaining to witnesses, they appear to have revealed confidential information to the public which is contrary to the proper administration of justice. In addition, they have repeatedly made public statements which are abusive towards the International Tribunal and acted in a manner that could bring the International Tribunal into disrepute. Bearing in mind these actions by the said legal advisors, I hereby inform you that I have suspended their privileged status awaiting the outcome of certain motions pending before the International Tribunal implicating them adversely.54Id., para. 8. The Registrar confirmed that the two legal associates could continue working on Šešelj’s defence team and could have monitored visits with him as friends. However, they would not enjoy privileged communications with Šešelj, nor would they be provided with any confidential documents.55Id., para. 9. The Single Judge held that the Registrar acted in an appropriate and restrained manner in suspending Šešelj’s privileged communications with his legal associates in order to safeguard the administration of justice.56Id., para. 21. The Single Judge reasoned that when the Registrar came into possession of information showing that his decision to allow privileged communications between Šešelj and his legal associates was being abused, “it was appropriate – even required – for him to counteract the detrimental interference with the administration of justice and prevent any interference with or intimidation of witnesses.”57Id. How should a court determine whether communications are privileged or fall under the crime-fraud exception? One ICTY case is instructive. Though not necessarily dealing with the crime-fraud exception to the attorney-client privilege, the Trial Chamber in Stakić developed a procedure for determining whether communications are covered by the attorney-client privilege. if it is sufficient to use a more lenient measure, it must be applied.60Id., p. 3, citing Prosecutor v. Hadžihasanović, IT-01-47-PT, Decision Granting Provisional Release to Enver Hadžihasanović, 19 December 2001, para. 8. At the end of this procedure, the excluded materials shall be returned to the container, which shall be sealed and immediately returned to the premises of [United Nations Detention Unit]. All remaining documents shall be provided to the Prosecution in order to be forwarded to the appointed forensic handwriting examiner.61Prosecutor v. Stakić, IT-97-24-T, Order to the Registry of the Tribunal to Provide Documents, 5 July 2002, 5-6. Independent Prosecutor v. Bangura et al. As I previously discussed, the issue of the crime-fraud exception arose in the contempt case of Independent Counsel v. Bangura et al. (“Bangura et al.”). The background of this case is discussed in detail in my previous post. In Bangura et al., the Independent Counsel investigating the contempt case requested to subpoena Andrew Daniels, the former Defence Counsel for Brima Bazzy Kamara in the main case.62Prosecutor v. Bangura et al., SCSL-2011-02-PT, Prosecutor’s Additional Statement of Anticipated Trial Issues and Request for Subpoena, 11 June 2012, para. 1. Recognizing the attorney-client privilege would normally protect communications from disclosure under SCSL Rule 97, the Independent Counsel requested the Trial Chamber to recognize a crime-fraud exception to the Rule.63Id., para. 2. The Independent Counsel submitted that SCSL Rule 97 broadly provides for the attorney-client privilege with three limited exceptions, which are not pertinent here. He recognized that there was no explicit crime-fraud exception in the rules, nor any decision of the ad hoc tribunals that directly considered the issue. The Independent Counsel pointed to Rule 65(B) of the ICTY Detention Rules as well as a decision in Karadžić which cites to that Rule, suggesting that the privilege can be abused, and lost, “in an attempt to … ‘interfere with or intimidate witnesses’ or ‘interfere with the administration of justice[. ]’” 64Id., para. 3, citing Rule 65(B) of the ICTY Detention Rules; Prosecutor v. Karadžić, IT-95-5/18-T, Decision on Request for Review of Decision on Privileged Telephone Calls, 23 March 2012, para. 7. We know of no international customary law, norms or standards inconsistent with the Crime-Fraud Exception. Nor do we know of any such law, norms or standards inconsistent with the admission of communications made in furtherance of a scheme or attempt to bribe or interfere with witnesses, or to interfere with the administration of justice, or to obtain legal advice or assistance in aid of such scheme or attempt.66Id. In support of his argument, the Independent Counsel cited UK and US case law applying the crime-fraud exception.67Id., para. 5, citing R v. Cox & Railton  14 QBD 153; Banque Keyser Ullman v. Skandia  1 Lloyds Rep. 336; R v. Central Criminal Court ex parte Francis & Francis  1 AC 346; U.S. v. Zolin, 491 U.S. 554 (1989); In re Grand Jury Proceedings, 87 F.3d 337 (9th Cir. 1996). (iii) when necessary to prevent an act which Defence Counsel reasonably believes: (a) is a criminal offence within the territory which it may occur and/or (b) may result in death or substantial bodily harm to any person unless the information is disclosed.69Id., para. 23. In oral submissions on 16 June 2012, the Independent Counsel reiterated his previous arguments,70Independent Counsel v. Bangura et al., SCSL-2011-02-PT, Transcript, 16 June 2012, p. 46-48. and submitted that in the alternative, the attorney-client privilege did not apply to communications between Daniels and Kamara because, although Kamara was a former client, Daniels had not been assigned as Kamara’s lawyer again.71Id., p. 49-50. Defence Counsel for Kamara submitted that under SCSL Rule 97, only the client could waive privilege, and that the crime-fraud exception applied in the UK and US had not been adopted in the international arena.72Id., p. 58. The Single Judge found that there was “no precedent in the International Criminal Tribunals on the principle of whether lawyer-client privileged [sic] is lost, if the communications between the client and the lawyer is a communication in furtherance of a crime or fraud.”73Independent Counsel v. Bangura et al., SCSL-2011-02-T, Decision on Prosecution Request for Subpoenas, 28 June 2012, para. 5. The Single Judge considered that the SCSL was entitled to look to the laws in civil and common law jurisdictions, as well as those of the Islamic and Hindu states.74Id. However, the parties submitted only common law jurisprudence before the Judge.75Id. The Single Judge stated that the provisions of SCSL Rule 97 “appear in mandatory terms and state ‘all communication between lawyer and client shall be regarded as privileged’.”76Id., para. 6. The Single Judge found that there were three exceptions provided in SCSL Rule 97,77SCSL Rule 97 indeed provides three exceptions where: “(i) The client consents to such disclosure; or (ii) The client has voluntarily disclosed the content of the communication to a third party, and that third party then gives evidence of that disclosure. (iii) The client has alleged ineffective assistance of counsel, in which case the privilege is waived as to all communications relevant to the claim of ineffective assistance.” though there is no specific exception that a lawyer may make a disclosure of the communication between him/her and the client.78Independent Counsel v. Bangura et al., SCSL-2011-02-T, Decision on Prosecution Request for Subpoenas, 28 June 2012, para. 6. The Single Judge accepted that “‘legal professional privilege is a fundamental human right, long established in the common law. It is a necessary corollary of the right of any person to obtain skilled advice about the law’ and ‘an intention to override such rights must be expressly stated or appear by necessary implication’.”79Id., para. 9, quoting R v. Special Commissioner and Another, ex parte Morgan Grenfell & Co. Ltd.  1 AC 563; Prosecutor v. Bangura et al., SCSL 2011-02-PT, Transcript, 16 June 2012, p. 61. Whilst the right to lawyer-client privileged [sic] has been recognised by many courts, including by the European Court of Human Rights, to be part of the right of privacy, those rights may be overridden by necessary implication. I do not accept that because of the wording of Rule 97 appears absolute that it cannot be overridden by necessary implication. I do not accept that there can be a recognised exception in cases of communication for purposes of fraud or crime accepted in the national jurisdictions of a large part of the legal world and a lower or less onerous application in the international tribunals. To hold the communications between lawyer and client are absolute and brook no exceptions in the international tribunals when national tribunals steadfastly recognise an exception would be, to adopt the words of the House of Lords in R. v. Cox and Railton, ‘to reduce to absurdity any principle or rule in which it is involved.’”84Id., para. 14 (internal citations omitted). The Single Judge subpoenaed Mr. Daniels, but did not actually apply the crime-fraud exception to privilege. Rather, she found that no attorney-client relationship existed between Daniels and Kamara.85Id., para. 18. Kamara had called Daniels with the intention of seeking advice in the future on the review of the provisions of the SCSL.86Id. The Single Judge considered that this preliminary inquiry did not establish an attorney-client relationship, thus the communications were not privileged.87Id. The Single Judge found that the attorney-client privilege does not exist until the relationship is firmly established, “usually when the parties have agreed on the representation of the client by the lawyer. The relationship cannot exist unilaterally.”88Id., para. 17. Rule 163 of the STL’s RPE contains an explicit crime-fraud exception to the attorney-client privilege. STL Rule 163 states that “[c]ommunications made in the context of the professional relationship between a person and his legal counsel shall be regarded as privileged and consequently not subject to disclosure at trial, unless … (iii) the client intended to perpetrate a crime and the communications were in furtherance of that crime.” Currently, there is no jurisprudence concerning STL Rule 163. Logical. As the STL conducts its trials in absentia, there are no “clients” with whom to communicate. Though there are two ongoing contempt cases relating to Prosecutor v. Ayyash et al.. However, these cases concern the publishing of confidential information by media companies and raise no issues of the lawyer-client privilege or the crime-fraud exception.89See Prosecutor v. Ayyash et al., STL-11-01/PT/CJ/R60bis.l, Public Redacted Version of Decision on Allegations of Contempt, 29 April 2013. In Prosecutor v. Mbarushimana, the ICC OTP requested that the Pre-Trial Chamber, or someone designated by the Pre-Trial Chamber, screen a number of documents that it identified as potentially privileged by way of a keyword search in order to determine whether they were privileged.90Prosecutor v. Mbarushimana, ICC-01/04-01/10, Decision Temporarily Suspending Dealings with Transcripts and Original Recordings of Intercepted Communications and Material Seized from the House of Mr. Callixte Mbarushimana, 25 February 2011, p. 3. In response, the Defence requested the Pre-Trial Chamber to quarantine all of the material seized from the house of Mr. Mbarushimana, including the transcripts and original recordings of intercepted communications, so that the Defence could review and remove the privileged material at its discretion.91Id. In its interim decision, the Pre-Trial Chamber considered the Defence’s assertion that the materials seized may contain the privileged information falling within the scope of Rule 73 of the ICC’s RPE.92Id., p. 4. It ordered the Registry to withdraw the ICC OTP’s access to any of the materials in question.93Id., p. 5. It further ordered the ICC OTP to cease all dealings with the materials and to quarantine these materials pending the resolution of the issue.94Id. Restore the ICC OTP’s access to all seized materials and intercepted communications that do not respond to keyword searches as soon as possible.95Prosecutor v. Mbarushimana, ICC-01/04-01/10, Decision on “Prosecution’s request to review a potentially privileged material,” 4 March 2011, p. 4-5. The Pre-Trial Chamber held that no provision of the Statute, the RPE, or Regulations of the ICC precludes it from reviewing documents for the purposes of determining whether they are privileged under ICC Rule 73.96Id., p. 6. The Pre-Trial Chamber considered that the mere fact that it reviewed communications between the suspect and his or her defence counsel in no way leads to bias and does not preclude the Pre-Trial Chamber from conducting the pre-trial proceedings and ultimately deciding whether the charges against the suspect should be confirmed.97Id., p. 7. Therefore, the Pre-Trial Chamber held that it was empowered to review the communications between a person and his or her legal counsel in order to assess whether they are privileged.98Id. The Pre-Trial Chamber considered that the documents identified by the ICC OTP as privileged shall be reviewed by the Pre-Trial Chamber and that the remainder of the materials, which had already been processed by the Registry, did not need to be reviewed unless the parties petitioned the Pre-Trial Chamber to do so having identified potentially privileged communications.99Id. The Pre-Trial Chamber further considered that “in order to minimise the risk of transmission of privileged communications to the Prosecutor in the process of registration of the remaining Seized Material, it is necessary that before giving the Prosecutor and the Defence access to these materials, the Registry conducts a search to identify potentially privileged communications.”100Id., p. 7-8. The Pre-Trial Chamber ordered the remaining seized materials to be quarantined until the Pre-Trial Chamber completed its assessment.101Id., p. 9. Under U.S. v. Zolin, US judges are able to conduct an in camera review of confidential communications without necessarily raising the same concerns of bias. In the US, the trier of fact is the jury. The purpose of having the judges conduct the review is to shield the jury from contamination as a result of seeing the materials, hence the in camera review. By contrast, in the international criminal tribunals, where the judges are the ultimate finder of fact, the Stakić method (independent review) discussed above is preferable. This discussion now brings us back to the questions raised in Bemba. I will now attempt to answer these questions based on the above analysis. 1. Does the ICC have the power to apply the crime-fraud exception? In Bemba, Judge Tarfusser recognized that there is no explicit crime-fraud exception provided for in the ICC’s Statute or RPE.103Situation in the Central African Republic, ICC-01/05-52-Red2, Decision on the Prosecutor’s “Request for Judicial Order to Obtain Evidence for Investigation under Article 70”, 29 July 2013, para. 4. He reasoned that an exception to the professional privilege is broadly accepted at both the national and international level. He cited STL Rule 163(iii) and the decision in Bangura et al., where the Single Judge that such an exception is “well-recognised” in common law jurisdictions.104Id. Judge Tarfusser did not make any finding as to whether the crime-fraud exception was a rule of customary international law or survey any domestic cases other than those cited in Bangura et al. As one commenter on my third post, Professor Fabián Raimondo, aptly observed, the ICC does not provide for the crime-fraud exception in its legal texts and regulations. There is no indication in the travaux préparatoires that any crime-fraud exception to legal privilege was ever discussed during the negotiation of the Statute. Thus, a question that begs an answer is whether the ICC has the power to apply the crime-fraud exception. In other words, to what extent can it look to external sources such as the practice of other international tribunals and domestic tribunals? In answering this question, I will first look to the Statute and ICC jurisprudence to identify criteria used by the ICC in applying any external sources of law. I will then analyze based on that criteria whether the ICC can apply the crime-fraud exception to the attorney-client privilege. Article 21(1) of the Statute gives guidance on the sources of law applicable at the ICC. As to Article 21(1)(a), there is no explicit crime-fraud exception in the Statute, Elements of Crimes, or RPE. (ii) such lacuna cannot be filled by the application of the criteria provided for in articles 31 and 32 of the Vienna Convention on the Law of Treaties and article 21(3) of the Statute.105Prosecutor v. Al Bashir, ICC-02/05-01/09, Decision on the Prosecution’s Application for a Warrant of Arrest against Omar Hassan Ahmed Al Bashir, 4 March 2009, para. 44. The following decision in Prosecutor v. Lubanga is instructive as to the criteria for when the ICC can make use of external legal sources such as the jurisprudence of the ad hoc tribunals or national jurisprudence. Although this practice is accepted to an extent in two legal systems, both of which are founded upon common law traditions, this does not provide a sufficient basis for any conclusion that a general principle based on established practice of national legal systems exists. The Trial Chamber notes that the prosecution’s submissions with regard to national jurisprudence did not include any citations from the Romano-Germanic legal system.109Id., para. 41.
if ICC legislation is not definitive on the issue, the Trial Chamber should apply, where appropriate, principles and rules of international law. In the instant case, the issue before the Chamber is procedural in nature. While this would not, ipso facto, prevent all procedural issues from scrutiny under Article 21(1)(b), the Chamber does not consider the procedural rules and jurisprudence of the ad hoc Tribunals to be automatically applicable to the ICC without detailed analysis.”111Id. (emphasis in original). The Trial Chamber remarked that the ICC Statute created a procedural framework that differs markedly from the ad hoc tribunals and includes “additional and novel elements to aid the process of establishing the truth.”112Id., para. 45. It noted that the procedure for witness preparation is not easily transferable into the system of law created by the ICC Statute and RPE. Thus, in the context of witness preparation, the Trial Chamber did not find the practice of the ad hoc tribunals persuasive.113Id. I will now analyze whether the ICC has the power to apply the crime-fraud exception, using the Lubanga decision as the starting point. Deceiving or knowingly misleading the Court;114ICC Code of Professional Conduct for Counsel, ICC-ASP/4/Res.1, 2 December 2005, Art. 24(3). Intimidating, harassing, or humiliating witnesses or victims or from subjecting them to disproportionate or unnecessary pressure within or outside the courtroom.116Id., Art. 29(1). f. Soliciting or accepting a bribe as an official of the Court in connection with his or her official duties. The crime-fraud exception has been applied in at least one of the ad hoc tribunals (SCSL), and is explicitly recognized in the STL’s RPE. In contrast to the witness proofing example in Lubanga, ICC Rule 73(1) covering the attorney-client privilege117“Without prejudice to article 67, paragraph 1(b), communications made in the context of the professional relationship between a person and his or her legal counsel shall be regarded as privileged, and consequently not subject to disclosure, unless: (a) The person consents in writing to such disclosure; or (b) The person voluntarily disclosed the content of the communication.” mirrors the provisions provided for at the ad hoc tribunals.118See overview of the attorney-client privilege in the international criminal tribunals in Blog Post 3. The ICC procedure for privilege is not markedly different, and does not introduce new aspects that differ from the attorney-client privilege applied at the ad hoc tribunals. Perhaps short of being a customary rule of international law (I have not conducted a thorough overview of state practice or opinio juris), the crime-fraud exception seems to be recognized in both common and civil law jurisdictions. Arguably, however, the rule of attorney-client privilege applied at the ICC and in the ad hoc tribunals seems to stem from common law practice. This is evident by the fact that ICC Rule 73(1) and the Rules applied at the ad hoc tribunals explicitly provide that the client is the holder of privilege. This contrasts with the civil law duty of “professional secrecy,” where the lawyer is the holder of privilege.119See overview of civil law jurisdictions in Blog Post 2. Lastly, Article 69(3) of the Statute provides that “[t]he Court shall have the authority to request the submission of all evidence that it considers necessary for the determination of the truth.” This truth-seeking element adds a further argument that the crime-fraud exception would be applicable. It is illogical to suggest that the ICC would provide lawyers with any procedural mechanisms that would prevent it from doing its job – investigating and prosecuting crimes. Though not provided for in the ICC Statute, RPE, or Regulations, it appears that the ICC does have the authority to apply the crime-fraud exception. Though Judge Tarfusser did not thoroughly analyze the criteria for applying external legal sources, he did not simply apply the crime-fraud exception as a norm pulled like a rabbit out of a hat. The exception is well established at the national and international levels and ICC lawyers are certainly on notice that certain unethical behavior is prohibited. It is not rocket science to conclude that the lawyer and his or her client cannot hide behind the shield of attorney-client privilege when engaging in a crime or fraud, such as intimidating witnesses or otherwise interfering with the administration of justice. 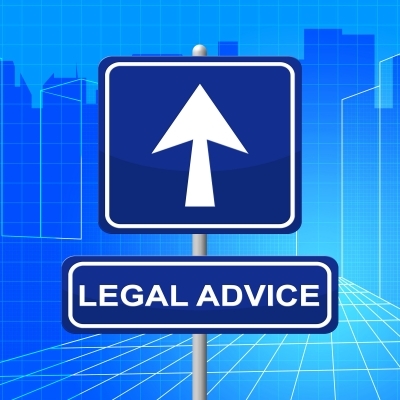 As R v. Cox and Railton explained: “If his criminal object is avowed, the client does not consult his adviser professionally, because it cannot be the [lawyer’s] business to further any criminal object.”120R v. Cox and Railton  14 QBD 153, 168. 2. What kind of communications are covered by the crime-fraud exception? 3. When does the crime-fraud exception apply (i.e. what does “in furtherance of a crime” mean)? The phrase “in furtherance of a crime or fraud” contemplates the client’s intent to commit a future or present crime or fraud and does not cover communications concerning the matter for which the client is receiving the legal advice. If the phrase “in furtherance of a crime or fraud” contemplated the matter for which the client is seeking services, then the attorney’s advice would be rendered useless. soliciting or accepting a bribe as an official of the Court in connection with his or her official duties. If the client uses his or her attorney’s services to perpetrate an offense, for instance, if he or she attempts to convince a witness to recant his or her testimony, or to withdraw from participation in the proceedings, then the attorney-client privilege and work product privilege are breached under the crime-fraud exception. However, this does not mean that all the communications and documents will be automatically open for discovery. The documents that were not generated in furtherance of the described offense should remain protected. 4. 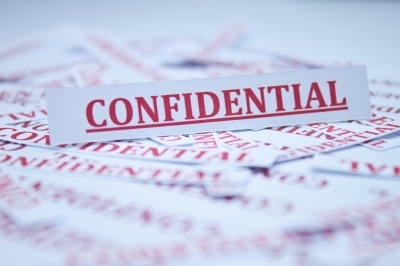 Can privileged communications be used as admissible evidence? Applying the crime-fraud exception, the ICC Trial Chamber transmitted communications to the ICC OTP that it considered relevant to the ICC OTP’s allegations and falling within the crime-fraud exception.121Prosecutor v. Bemba Gombo et al., ICC-01/05-01/13-1096, Decision on Defence Request for Leave to Appeal the Decision Providing Materials in Two Independent Counsel Reports and Related Matters, 21 July 2015, para. 9. The Trial Chamber held that even if it erred in defining the crime-fraud exception – and erroneously transmitted the information to the ICC OTP – this would not necessarily make the communications inadmissible.122Id. In a footnote, the Trial Chamber referred to Article 69(7) of the Statute and stated that “the Chamber is required to declare evidence obtained in violation of the Statute inadmissible only if the further criteria under sub-rules (a) or (b) are met.”123Id., n. 13. Sub-rules (a) and (b) of Article 69(7) provide: (a) The violation casts substantial doubt on the reliability of the evidence; or (b) The admission of the evidence would be antithetical to and would seriously damage the integrity of the proceedings. One question arises as to whether Article 69(5) of the Statute – which provides that the “Court shall respect and observe privileges on confidentiality as provided for in the Rules” – is lex specialis. If Article 69(5) is lex specialis, it precludes the admission of any privileged evidence. As I will discuss in the next post, the ad hoc tribunals have addressed the application of other privileges as an exclusionary rule of evidence. The cases discussed below illustrate that the ICTY seems to apply the ICRC and journalistic privileges as lex specialis, providing general advice as to how to apply the attorney-client privilege. The Trial Chamber held that its discretion to admit evidence under Rule 89(C) is not unlimited.128Prosecutor v. Simić et al., IT-95-9-PT, Decision on the Prosecution Motion Under Rule 73 for a Ruling Concerning the Testimony of a Witness”, 27 July 1999, para. 41. It explained that Rule 89(D) provides the power to exclude evidence “if its probative value is substantially outweighed by the need to ensure a fair trial.”129Id. The Trial Chamber also pointed to Rule 95, which proscribes the admission of evidence “if obtained by methods which cast substantial doubt on its reliability or if its admission is antithetical to, or would seriously damage, the integrity of the proceedings.”130Id. The Trial Chamber held that the evidence of the former ICRC employee should not be given.131Id., Disposition. It held that the ICRC had a customary right to non-disclosure.132Id., para. 74. The Trial Chamber explained that: “The rule, properly understood, is, in its content, unambiguous and unequivocal, and does not call for any qualifications. Its effect is quite simple: as a matter of law it serves to bar the Trial Chamber from admitting the Information.”133Id., para. 76. In determining whether to issue a subpoena, a Trial Chamber has first of all to take into account the admissibility and potential value of the evidence sought to be obtained. Under Rule 89(C) of the Rules, a Trial Chamber “may admit any relevant evidence which it deems to have probative value,” and under Rule 89(D) may “exclude evidence if its probative value is substantially outweighed by the need to ensure a fair trial.” Secondly, the Trial Chamber may need to consider other factors such as testimonial privileges. For instance, Rule 97 of the Rules states that “all communications between lawyer and client shall be regarded as privileged, and consequently not subject to disclosure at trial, unless: (i) the client consents to such disclosure; or (ii) the client has voluntarily disclosed the content of the communication to a third party, and that third party then gives evidence of that disclosure.” Similarly, in the Simic case, the Trial Chamber made it clear that the ICRC has a right under customary international law to non-disclosure of information so that its workers cannot be compelled to testify before the International Tribunal.134Prosecutor v. Brđanin & Talić, IT-99-36-AR73.9, Decision on Interlocutory Appeal, 11 December 2002, para. 32. These cases will be explained in more detail in the next post, but I offer some general advice here. If the Trial Chamber could use privileged attorney-client communications as admissible evidence, clients would not be able to communicate frankly with their lawyers. In other words, the privilege would be rendered moot. Such a result would undoubtedly impair the quality of legal services available for clients and would infringe upon their fair trial rights. 5. If the communications in question contain a mix of privileged and non-privileged statements, where is the line to be drawn? Privileged portions should then be quarantined. 6. What measures should be taken when attorney-client communications are transmitted to the Prosecution and/or other parties but subsequently are determined to be privileged? Privilege is not waived because communications were forwarded to the prosecutor or other parties. The inadvertent production of privileged documents does not constitute a waiver of privilege unless there was an adequate opportunity to claim the privilege.135See my discussion in Blog Post 2 of the issue of waiver of attorney-client privilege in the US Ninth Circuit Court of Appeals case of Transamerica Computer Co. v. International Business Machines Co. However, there are measures a tribunal can take to preserve the confidentiality of privileged communications. This could mean quarantining the privileged information and requiring that the Prosecution and other parties refrain from making use of any material to which it may have been exposed. As the Appellate Division of the Supreme Court of New York has reasoned, “[a]lthough confidentiality can never be restored to a document already disclosed, a court can repair much of the damage done by disclosure by preventing or restricting use of the document at trial.”136Manufacturer’s and Trader’s Trust Co. v. Servotronics, Inc., 132 A.D.2d 392, 398 (N.Y. App. Div. 1987). The difficulty lies in determining which communications are legitimately covered by privilege and which communications fall under the crime-fraud exception. A review by an independent counsel may be necessary. In camera review by the Trial Chamber may have the potential to impart bias upon the judges ruling on any contempt claim. Certainly, lawyers should be able to object to the independent counsel’s analysis, and any portions identified as privileged should be severed. If privileged communications have erroneously been transmitted to the Prosecution or other parties, the Trial Chamber should restrict the use of these materials. 1. ↑ Situation in the Central African Republic, ICC-01/05-52-Red2, Decision on the Prosecutor’s “Request for Judicial Order to Obtain Evidence for Investigation under Article 70”, 29 July 2013, paras. 3-5. 2. ↑ Id., paras. 6-7. 3. ↑ Prosecutor v. Bemba Gombo et al., ICC-01/05-01/13-947, Decision Providing Materials in Two Independent Counsel Reports and Related Matters, 15 May 2015. 4. ↑ Prosecutor v. Bemba Gombo et al., ICC-01/05-01/13-1096, Decision on Defence Request for Leave to Appeal the “Decision Providing Materials in Two Independent Counsel Reports and Related Matters”, 21 July 2015, para. 9. 5. ↑ O’Rourke v. Darbishire  A.C. 581, 604. 6. ↑ See Clark v. U.S., 289 U.S. 1 (1933) discussed in Blog Post 2. 7. ↑ Clark v. U.S., 289 U.S. 1, 15 (1933). 8. ↑ U.S. v. Zolin, 491 U.S. 554 (1989). 9. ↑ Id. at 557-58, citing Church of Scientology of California v. Armstrong, No. C420 153 (Cal. Super. County Ct. 11 February 1985). 10. ↑ U.S. v. Zolin, 491 U.S. 554, 557-58 (1989). 11. ↑ Id. at 558. 12. ↑ Id. at 559, n. 5 (internal citation omitted). 14. ↑ Id. at 560 (internal citation omitted). 17. ↑ U.S. v. Zolin, 809 F. 2d 1411, 1418 (9th Cir. 1987), citing U.S. v. Shewfelt, 455 F.2d 836 (9th Cir. 1972). 18. ↑ U.S. v. Zolin, 809 F. 2d 1411, 1418-19 (9th Cir. 1987). 19. ↑ Id. at 1419. 20. ↑ U.S. v. Zolin, 491 U.S. 554, 574 (1989). 21. ↑ Id. at 572, citing Caldwell v. District Court, 644 P. 2d 26, 33 (Colo. 1982). 22. ↑ Id. at 575. 23. ↑ In re Sealed, 107 F.3d 46, 48 (D.C. Cir. 1997). 26. ↑ Id. at 49 (internal citations omitted). 27. ↑ Id., citing Restatement of the Law Governing Lawyers §142 (Proposed Final Draft No. 1, 1996). 28. ↑ In re Sealed, 107 F.3d 46, 49 (D.C. Cir. 1997). 30. ↑ Id. at 50. 31. ↑ In re Sealed, 754 F.2d 395, 399 (1985) (“Sealed Case II”). 32. ↑ Sealed Case II at 399. 33. ↑ Sealed Case II at 399, n. 3, citing In re John Doe Corp., 6975 F.2d 482, 491 & n. 7 (2d Cir. 1982). 34. ↑ Sealed Case II at 399, citing In re Grand Jury Subpoena Duces Tecum, 731 F.2d 1032, 1039 (2d Cir. 1984). 35. ↑ In re Sealed, 107 F.3d 46, 50 (D.C. Cir. 1997). 37. 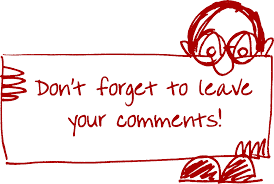 ↑ See overview of civil law codes in Blog Post 2. 38. ↑ Decision of The Hague District Court, the three-judge division for criminal cases, on the motions by the public prosecutor and the complaints pursuant to Section 552a of the Dutch Code of Criminal Procedure of the suspects: Aime Kilolo Musamba & Jean-Jacques Mangenda Kabongo, 09/767240-13, Case No. RK 14/718 (2014), p. 9. English translation available at http://www.icc-cpi.int/iccdocs/doc/doc1781445.pdf. 39. ↑ Id., p. 10. 40. ↑ Id., p. 9. 41. ↑ Decision of the Supreme Court of the Netherlands on the Appeal in Cassation against a decision of the Court of Roermond of 24 December 2002, Case No. RK 00/88 (2003), Dutch version available at http://jure.nl/ECLI:NL:HR:2003:AH9924 (text based on unofficial author translation). 42. ↑ Id., para. 3.1. 43. ↑ Id., paras. 3.1, 3.2.2. 44. ↑ Id., para. 5. 45. ↑ Code de Procédure Pénale (Code of Criminal Procedure) (official translation). 46. ↑ Cour de cassation, crim., n°96-83753, 15 January 1997 (unofficial author translation). 47. ↑ Prosecutor v. Šešelj, IT-03-67-T, Decision on Vojislav Šešelj’s Request for Review of Registrar’s Decision of 10 September 2009, 21 October 2009, para. 21. 48. ↑ Id., para. 2. 50. ↑ Id., para. 4. 51. ↑ Id., para. 5. 52. ↑ Id., para. 6. 54. ↑ Id., para. 8. 55. ↑ Id., para. 9. 56. ↑ Id., para. 21. 58. ↑ Prosecutor v. Stakić, IT-97-24-T, Order to the Registry of the Tribunal to Provide Documents, 5 July 2002, p. 1. 59. ↑ Id., p. 2-3. 60. ↑ Id., p. 3, citing Prosecutor v. Hadžihasanović, IT-01-47-PT, Decision Granting Provisional Release to Enver Hadžihasanović, 19 December 2001, para. 8. 61. ↑ Prosecutor v. Stakić, IT-97-24-T, Order to the Registry of the Tribunal to Provide Documents, 5 July 2002, 5-6. 62. ↑ Prosecutor v. Bangura et al., SCSL-2011-02-PT, Prosecutor’s Additional Statement of Anticipated Trial Issues and Request for Subpoena, 11 June 2012, para. 1. 63. ↑ Id., para. 2. 64. ↑ Id., para. 3, citing Rule 65(B) of the ICTY Detention Rules; Prosecutor v. Karadžić, IT-95-5/18-T, Decision on Request for Review of Decision on Privileged Telephone Calls, 23 March 2012, para. 7. 65. ↑ Prosecutor v. Bangura et al., SCSL-2011-02-PT, Prosecutor’s Additional Statement of Anticipated Trial Issues and Request for Subpoena, 11 June 2012, para. 4. 67. ↑ Id., para. 5, citing R v. Cox & Railton  14 QBD 153; Banque Keyser Ullman v. Skandia  1 Lloyds Rep. 336; R v. Central Criminal Court ex parte Francis & Francis  1 AC 346; U.S. v. Zolin, 491 U.S. 554 (1989); In re Grand Jury Proceedings, 87 F.3d 337 (9th Cir. 1996). 68. ↑ Independent Counsel v. Bangura et al., SCSL-11-02-PT, Defence Pre-Trial Brief on Behalf of Santigie Borbor Kanu Filed Pursuant to Scheduling Order of 1 May 2012, 29 May 2012, para. 21. 69. ↑ Id., para. 23. 70. ↑ Independent Counsel v. Bangura et al., SCSL-2011-02-PT, Transcript, 16 June 2012, p. 46-48. 71. ↑ Id., p. 49-50. 72. ↑ Id., p. 58. 73. ↑ Independent Counsel v. Bangura et al., SCSL-2011-02-T, Decision on Prosecution Request for Subpoenas, 28 June 2012, para. 5. 76. ↑ Id., para. 6. 78. ↑ Independent Counsel v. Bangura et al., SCSL-2011-02-T, Decision on Prosecution Request for Subpoenas, 28 June 2012, para. 6. 79. ↑ Id., para. 9, quoting R v. Special Commissioner and Another, ex parte Morgan Grenfell & Co. Ltd.  1 AC 563; Prosecutor v. Bangura et al., SCSL 2011-02-PT, Transcript, 16 June 2012, p. 61. 80. ↑ R v. Cox and Railton  14 QBD 153. 81. ↑ O’Rourke v. Darbishire  A.C. 581. 82. ↑ Independent Counsel v. Bangura et al., SCSL-2011-02-T, Decision on Prosecution Request for Subpoenas, 28 June 2012, para. 13, citing Blackstone’s Criminal Practice § 9.19 (Oxford 2006). 83. ↑ Independent Counsel v. Bangura et al., SCSL-2011-02-T, Decision on Prosecution Request for Subpoenas, 28 June 2012, para. 15. 84. ↑ Id., para. 14 (internal citations omitted). 85. ↑ Id., para. 18. 88. ↑ Id., para. 17. 89. ↑ See Prosecutor v. Ayyash et al., STL-11-01/PT/CJ/R60bis.l, Public Redacted Version of Decision on Allegations of Contempt, 29 April 2013. 90. ↑ Prosecutor v. Mbarushimana, ICC-01/04-01/10, Decision Temporarily Suspending Dealings with Transcripts and Original Recordings of Intercepted Communications and Material Seized from the House of Mr. Callixte Mbarushimana, 25 February 2011, p. 3. 92. ↑ Id., p. 4. 93. ↑ Id., p. 5. 95. ↑ Prosecutor v. Mbarushimana, ICC-01/04-01/10, Decision on “Prosecution’s request to review a potentially privileged material,” 4 March 2011, p. 4-5. 96. ↑ Id., p. 6. 97. ↑ Id., p. 7. 100. ↑ Id., p. 7-8. 101. ↑ Id., p. 9. 102. ↑ See, e.g., ICC Code of Judicial Ethics, Arts. 3-4. 103. ↑ Situation in the Central African Republic, ICC-01/05-52-Red2, Decision on the Prosecutor’s “Request for Judicial Order to Obtain Evidence for Investigation under Article 70”, 29 July 2013, para. 4. 105. ↑ Prosecutor v. Al Bashir, ICC-02/05-01/09, Decision on the Prosecution’s Application for a Warrant of Arrest against Omar Hassan Ahmed Al Bashir, 4 March 2009, para. 44. 106. ↑ Prosecutor v. Lubanga, ICC-01/04-01/06, Decision Regarding the Practices Used to Prepare and Familiarise Witnesses for Giving Testimony at Trial, 30 November 2007, para. 1. 107. ↑ Id., paras. 8-9. 108. ↑ Id., para. 40. 109. ↑ Id., para. 41. 110. ↑ Id., para. 44. 111. ↑ Id. (emphasis in original). 112. ↑ Id., para. 45. 114. ↑ ICC Code of Professional Conduct for Counsel, ICC-ASP/4/Res.1, 2 December 2005, Art. 24(3). 115. ↑ Id., Art. 25(1). 116. ↑ Id., Art. 29(1). 118. ↑ See overview of the attorney-client privilege in the international criminal tribunals in Blog Post 3. 119. ↑ See overview of civil law jurisdictions in Blog Post 2. 120. ↑ R v. Cox and Railton  14 QBD 153, 168. 121. ↑ Prosecutor v. Bemba Gombo et al., ICC-01/05-01/13-1096, Decision on Defence Request for Leave to Appeal the Decision Providing Materials in Two Independent Counsel Reports and Related Matters, 21 July 2015, para. 9. 123. ↑ Id., n. 13. Sub-rules (a) and (b) of Article 69(7) provide: (a) The violation casts substantial doubt on the reliability of the evidence; or (b) The admission of the evidence would be antithetical to and would seriously damage the integrity of the proceedings. 124. ↑ Prosecutor v. Simić et al., IT-95-9-PT, Decision on the Prosecution Motion Under Rule 73 for a Ruling Concerning the Testimony of a Witness”, 27 July 1999, para. 1. 125. ↑ Id., para. 2. 128. ↑ Prosecutor v. Simić et al., IT-95-9-PT, Decision on the Prosecution Motion Under Rule 73 for a Ruling Concerning the Testimony of a Witness”, 27 July 1999, para. 41. 132. ↑ Id., para. 74. 133. ↑ Id., para. 76. 134. ↑ Prosecutor v. Brđanin & Talić, IT-99-36-AR73.9, Decision on Interlocutory Appeal, 11 December 2002, para. 32. 135. ↑ See my discussion in Blog Post 2 of the issue of waiver of attorney-client privilege in the US Ninth Circuit Court of Appeals case of Transamerica Computer Co. v. International Business Machines Co.
136. ↑ Manufacturer’s and Trader’s Trust Co. v. Servotronics, Inc., 132 A.D.2d 392, 398 (N.Y. App. Div. 1987).